Back in October Forest Hill Library converted to a community library. 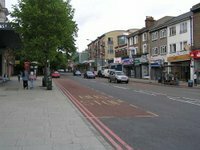 While it is officially run by a consortium comprising the Forest Hill Society, V22 and local traders, in reality the day to day running is by Simon Higgs and a team of enthusiastic volunteers. Every day we have up to nine people volunteering for morning, afternoon and evening shifts and helping to keep the library running. Over the last few months we have replaced all of the library’s computers, upgrading them to faster computers using Windows 10, and replaced the photocopier/printer and we have invested in a new system for managing all of the computers. We have also been slowly adding donated books to the collection, although not as fast as we would like. During the last few months, the transition has not been without its challenges: the boiler system failed for a number of weeks at the start of winter, there were a number of issues in switching IT systems, and all the books required re-tagging by Lewisham. Despite these issues we have been able to keep the library open and we have learned a lot from the experiences. The local community has been fabulous in their support for the library — not only by volunteering their time at the library every day — but also by responding to the Crowdfunding campaign we started with the aim of raising £6,000 to improve the library. Within weeks we had surpassed our goal and by the end of six weeks we had passed £10,000 in donations for the library. 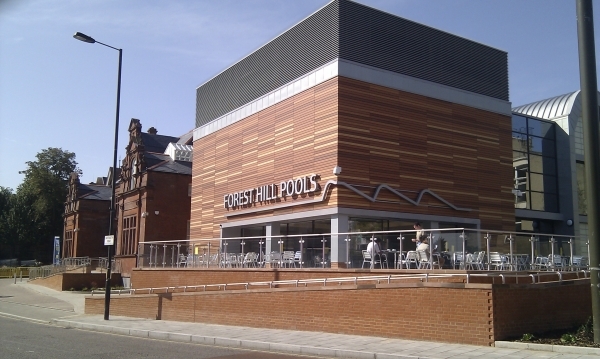 This financial support, together with funding for activities from Forest Hill Ward Assembly and rental income from the upstairs’ rooms, means that Forest Hill Library is able to break even. As a not-for-profit enterprise, any excess income will be re-invested in the library and used to build up a contingency fund for general repairs and maintenance of the Grade 2* listed building. Early in 2017 we set up a children’s advisory board and we will soon be forming a general (adult) advisory board, who will ensure that we are responding to the needs of all library users. During 2017 we want to ensure that all of the library’s standard functions are working smoothly, then consider holding more events in and around the library, to make it even more of a community hub.